In order to stay safe on the road, you need to know what’s going on around you. That’s where quality sideview and rearview mirrors come in. 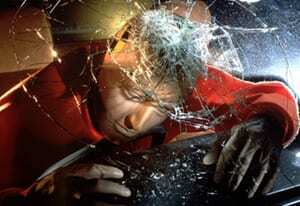 Not having proper mirrors is considered a critical safety issue and can lead to a hazardous crash. Without them, you won’t be able to switch lanes on the highway, see pedestrians or bicyclists around you, back up safely, or see your blind spots. In addition to being unsafe, it also happens to be illegal to drive without proper mirrors. As a result, you could end up not passing a vehicle inspection, or fork out a lot of money in ticket fines. If any of your mirrors break or become cracked, it’s important to have them repaired or replaced immediately. At Kryger, we can get the job done the right way – the Kryger way! We thoroughly clean your windshield and mirror base and then mark it for precise placement. Adhesive is then applied to the mirror base plate. The mirror will be held in place until the adhesive dries. We then install the mirror onto the base and make sure it’s secure. If the mirror is broken, we safely remove all the loose pieces of glass. We then clean the surface of the broken mirror to prep for installation. We apply adhesive patches to the replacement mirror. Your new mirror is aligned exactly with the old one and held in place until the adhesive dries and the mirror is securely in place. Your safety is our number one priority, which is why we strive to give you the best quality service and glass – all at your convenience. If any of your mirrors are chipped, cracked, or broken, we have a smart and safe solution for you. Call us to schedule your service today!